I'm delighted to have the gorgeous Isabelle Broom join me today for a little Q&A ahead of her publication day on Thursday - please do check back on the blog then for my review of My Map Of You, but I can tell you now... its utterly brilliant! 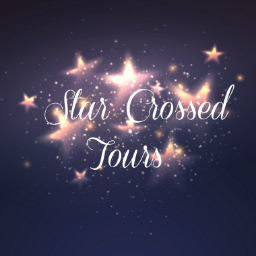 It's a bit of a big week for Isabelle, as she is also returning to the blog on Sunday to take part in the My Book Corner feature.... So Thank you Isabelle for taking the time out to answer both sets of questions! Isabelle, for those that don't know you, can you tell us a bit about yourself please? Thank YOU for inviting me! What a pleasure to be featured. Right, where to start… Well, I’m an author now, which is tremendously exciting. My debut novel is out in April, and I have another in the pipeline. I’m also the Book Reviews Editor at heat magazine, where I’ve been working for the past ten years. Where did your love of books/writing come from? I’ve always loved stories – whether it be reading them or writing my own. Writing is something I’ve been doing since I was about five years old, and getting a publishing deal has been a genuine dream come true. I must mention my mum here, too, as it was her who really encouraged me to keep on trying. Plus, she read to me endlessly when I was a child. I still think writing is the only thing better than reading. When you’re sitting there, your head fit to burst and words flooding out onto the page, it’s just the greatest feeling in the world. My Map Of You is your début novel with publishers Michael Joseph, and I have to say firstly how much I enjoyed the book - I devoured it in one sitting. For those that haven't read it yet - can you sum it up? Thank you so much! It really means the world to me to hear that people are enjoying the book, because I put so much of my own heart into it. My Map Of You is about a girl called Holly, who has had a tough life and is a bit lost. When she receives a letter telling her she’s inherited a house on the Greek island of Zakynthos from an aunt she never knew existed, it sets her off on an adventure that will change her life forever. Greece is clearly a big inspiration for this book. Did you set out to write a novel based abroad or did it just kind of happen? Well, I fell in love with Zakynthos about 16 years ago, when I visited the island for the first time. I went back year after year, eventually working there for an unforgettable six months, and it became like a second home to me. I always wanted to write a novel, but I wanted it to be a personal story. 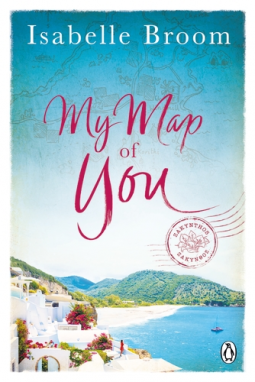 The way I felt about Zakynthos inspired the idea of My Map Of You, and I think – and hope! – that it’s all the more authentic as a result. Can you tell us a little about your writing process? I imagine due to how descriptive the book is there was a holiday for research involved? Luckily for me, I was able to conjure up Zakynthos in my mind pretty much whenever I wanted to, having spent so much time there. But I did make a trip back when I was about halfway through the first draft, and it was so invaluable. While I could remember what the place looked like, I’d forgotten the scent of the air and the feel of the sun on my shoulders. Those small details are what made the book really come to life, and I spent a large amount of time simply sitting and absorbing the atmosphere, before scribbling down pages of notes. It’s a practice I’ve now adopted going forwards – as the book I’m writing at the moment is also set overseas. I enjoyed the part of the book that is set in Zakynthos the most, simply because when I was writing it, I felt as if I was escaping back to the sunny island every day. My favourite chapter, however, is the one where Aidan takes Holly out to sea to watch the sun set and shows her the stars. I’ve seen those stars for myself on that very same patch of water, and it’s an experience I will never forget. Holly’s life shifts at that moment, and she feels how important it is. For me, that chapter is a total game-changer. I love characters and getting to know them. How were yours born? Did you know instantly their name and personality or did that come as you wrote? Holly was a character that grew over some time, as I was putting the novel together in my head for over a year before I really got down to the nitty gritty of writing it. Aidan came later, as did Rupert, and their personalities expanded as I wrote the book. Each of my characters had an outline that I worked from, but they came into their own as I worked, which seems to always be the case with my books. Oh, it would be Aidan – in a heartbeat! He’s… well, you know, handsome and stuff. And he loves Zakynthos and dogs, so we’d have plenty to chat about. Obviously with your job at Heat Magazine, you read a lot of books.... who are your favourite authors and did you draw inspiration from any? 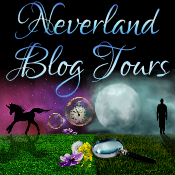 I have so many authors that I love. 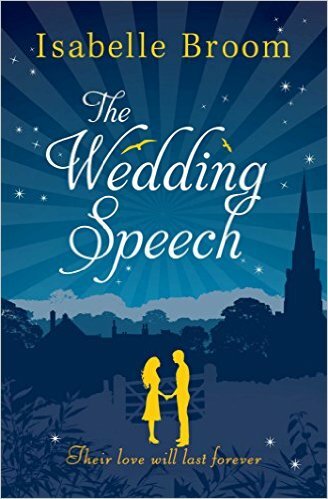 Just off the top of my head, I’d say Lucy Robinson, Giovanna Fletcher, Paige Toon, Ali Harris, Milly Johnson, Jane Fallon, Lindsey Kelk, Mhairi McFarlane and Lisa Dickenson are all queens of romantic fiction. I also love Jennifer Barclay, Katie Marsh, Cesca Major, Eleanor Moran, Stephen King, Maggie O’Farrell, Peter James, David Whitehouse, Nicholas Sparks and Patrick Gale. I could go on and on. I think I take inspiration from all of them, both as people and writers. Night in or evening out? Summer – out. Winter – in! Birthdays or Christmas? My birthday is 22nd December, so they’re pretty much the same thing! Isabelle, thank you again for joining me in the Book Corner and taking time to answer the questions. Before you go, please tell us where we can get your book/s and keep up to date? Thank YOU more! It’s been so much fun.